As a Belgian, I can be proud of my little country when it comes to music. We all know bands like dEUS and 2manydj's, but sometimes great music comes in little packages. The four Belgians from Kabul Golf Club don't have the rich history like the famous bands, but still, this band doesn't need all the effort to put on a great record. 'Le Bal Du Rat Mort' is a short EP and contains only five songs, but the impact is of a much bigger proportion. The EP kicks in with the straightforward noiserocker 'Bits Of Freedom'. Beware of whiplashes: when hearing the openingriff, you might go see a doctor. Leadsinger Florent PevÃ©e may be the young flamboyant frontman of the band, but he'll wake everyone up when he screams through the brilliant guitarriff. And you just know that you're listening to a great band, when the rest of members kick in. The slamming drums of Maarten Beckers keeps you alerted, while the fuzzy basslines of Joey Sweeck terrorize your eardrums. 'Le Bal Du Rat Mort' is a devilish release. The power we can hear in songs such as 'Minus 45' reminds me of Blood Brothers' 'Set Fire To The Face On Fire'. This EP provides much more energy than we have heard in any recent rockrelease. 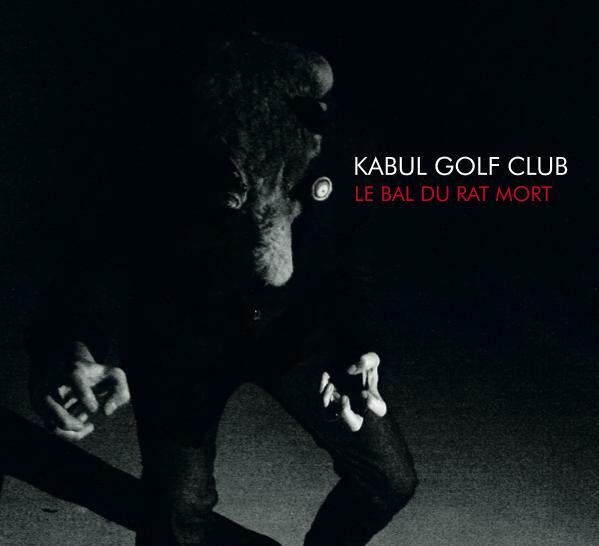 Still, the sound of Kabul Golf Club might be a large stepping-stone for those who are not familiar with the Belgian mathrock- and noiseculture. A difficult song like 'Fast Moving Consumer Goods' deserves your full attention to fully appreciate it. But even if you don't like these sounds, you definitely have to bang your head on the closing track 'Demon Days', which is the band's coup de force. Florent desperately screams that he is 'searching for some harmony', but you already know that all is lost. The closing riff makes you want to destroy your bedroom, kitchen and eventually, your whole damn house. 'Le Bal Du Rat Mort' is quite an achievement for such a young band. Go check it out.